No U.S. industry has changed as much in the last few years as that of banking. The mortgage crisis and its trickle down effect has its way with nearly every business in the U.S. Consumer reaction to Bank of America's ill-fated rate increase in September of 2011 carried consumer frustrations from palpable ripple to deafening title wave adn the Occupy Wall Street movement took America by storm. 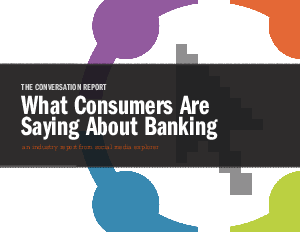 Read on to learn more about what consumers are saying about banking.